Tropical islands, sandy beaches, lush wetlands and parks, and golden-domed temples. These are just a few of the things you can look forward to seeing when you visit KK, or Kota Kinabalu. This gorgeous resort city is tucked into the west coast of Malaysia, and it is one of the most popular tourist locations in the country. A great deal of the allure of the place springs up from its natural beauty. Malaysia’s western coast and waters boast superb diving and water sports, with such sights as the sunken Gaya wreck and the 5 islands of the Tunku Abdul Rahman Marine Park available for snorkeling and scuba enthusiasts. Beaches like Pulau Manukan and Tanjung Arun give beach-lovers a place to hang out, and the water activities continue even inland, with white water rafting and wetland river tours being part of the enthusiastic tourist’s itinerary. You can add jet-skiing too at the lagoon in the north, as well as a boat tour of the water villages. You can also visit the famous Mount Kinabalu for a nature hike and marvel at its fascinating fauna and flora, which include spectacular Rhinoceros Hornbills, 10-kilogram Rafflesia flowers, and carnivorous pitcher plants whose jugs trap not just small insects but even rodents and birds. But Kota Kinabalu is not just about natural beauty: its people have left a beautiful footprint on the city’s image too. The Sabah State Mosque, the Sabah State Museum, the Sabah Art Gallery, and Atkinson Clock Tower are all places you should pay a visit to when in the city. There are charming stilt villages in Sembulan and Tanjung Aru and on the other end of the spectrum is the almost-ludicrously-futuristic Tun Mustapha Tower, a glass cylinder with a restaurant on the 18th floor that actually spins 360 degrees every hour for its patrons to get a complete view of the surrounding area. 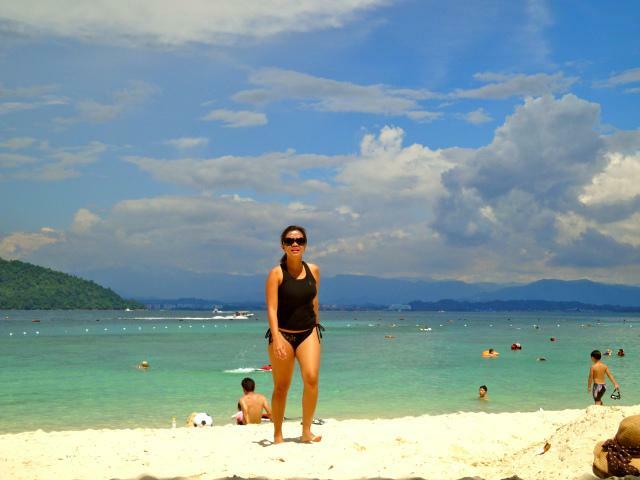 KK is obviously a place worth visiting in Malaysia, one of the more exciting tourist spots in this tropical paradise. You definitely do not want to miss out on experiencing everything this marvelous city has to offer. 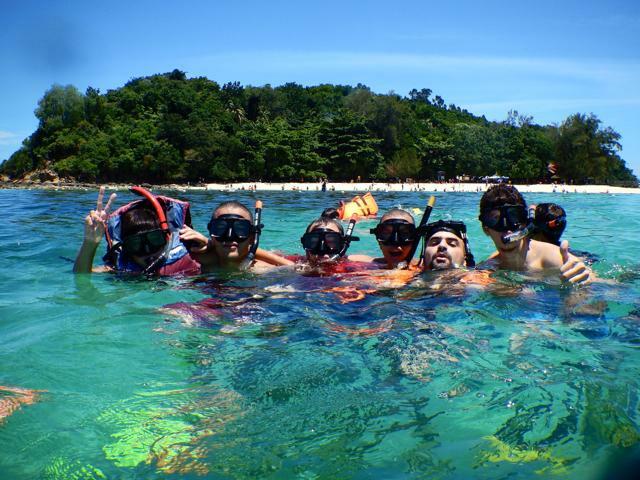 Diving and snorkeling in Kota Kinabalu primarily take place at the Tunku Abdul Rahman Park, an exciting marine park that is clearly Kota Kinabalu’s main tropical paradise. The park has five islands (Pulau Gaya, Pulau Sapi, Pulau Sulug, Pulau Manukan and Pulau Mamutik) that are known to have blinding white-sand beaches, shallow waters, and lively coral gardens, which are ingredients to the best snorkeling and diving experience ever. Kota Kinabalu is a major city in the Malayan state of Sabah. It is the capital city of Sabah, which is found on the tropical island of Borneo. Many westerners still think today that Borneo is nothing more than a vast jungle. Kota Kinabalu proves them wrong. 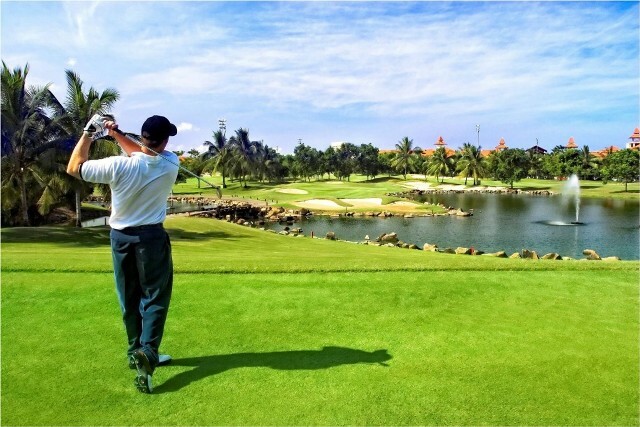 This state capital city has modern facilities and infrastructures, including four championship golf courses that make golf in Kota Kinabalu very popular with locals and visiting international golfers. Kota Kinabalu offers so many things to many people. There are alluring beaches and reefs to swim in, interesting cultural sites and traditional villages to visit, and the majestic Mount Kinabalu to scale. But everyone gets tired after a few hours of fun and adventure. And when people get tired and hungry, it’s the restaurants and food joints that get jam packed. 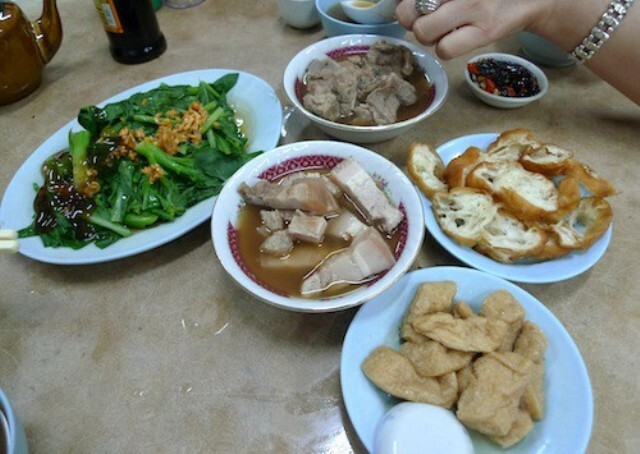 Eating and drinking in Kota Kinabalu is served by high-end restaurants, cafés and bars scattered all over this bustling city, but for some reason, locals and the adventurous tourist almost always prefer street foods, or at least, are ready to try a serving or two. Kota Kinabalu in Malaysia seems to have two personalities: traditional and modern, nature and infrastructure, rural and urban. While this capital city of the Malayan state of Sabah is very modern and progressive, it is also widely known for its beaches, reefs, and islands. 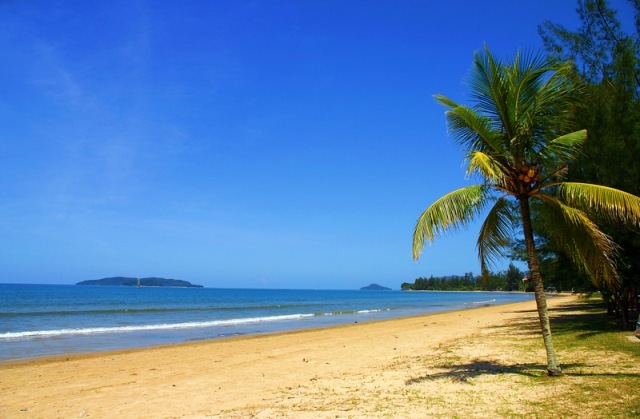 For this reason, swimming and other water sports in Kota Kinabalu are as popular as shopping in modern supermalls and dining in upscale restaurants. 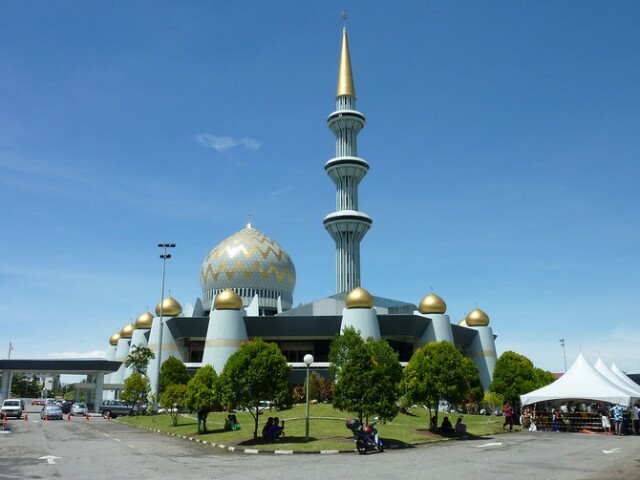 Sabah State Mosque, as the name states, is the primary or most important mosque in all of Sabah. Constructed in 1974, this national mosque is located at Jalan Tunku Abdul Rahman in Sembulan, Koa Kinabalu. It is clearly one of the most unique and spectacular structures in the city, specifically for its majestic domes, gold inlays and honeycomb pattern designs. There are not many buildings in the world as beautiful to the eyes as this one. Located in Kota Kinabalu of Sabah in Malaysia, Tanjung Aru is a small city sub-district that is home to many important sites such as the Royal Sabah Turf Club, La Salle Secondary School, Sabah State Railway station, Terminal 2 of the international airport, and the widely known Tanjung Aru Beach that is surrounded by first-class hotels, affordable resorts, famous restaurants and amazing entertainment centers. When staying anywhere within the capital city of Kota Kinabalu, make sure to visit Tanjung Aru even for a quick dinner while watching its spectacular sunset. People on the beach stop to watch the red golden sun slowly sinking behind the South China Sea, creating a picturesque silhouette of Mamutik Island and the Tunku Abdul Rahman Marine Park located in the open sea. Simply spectacular, it makes professional photographers out of everyone.